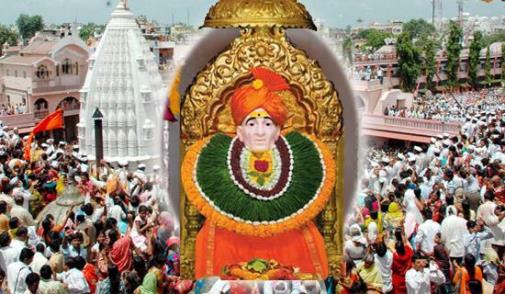 Pandharpur is the home of saints and Shegaon devotees! 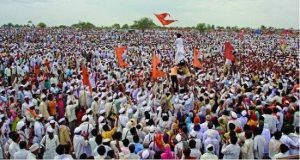 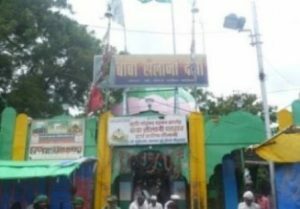 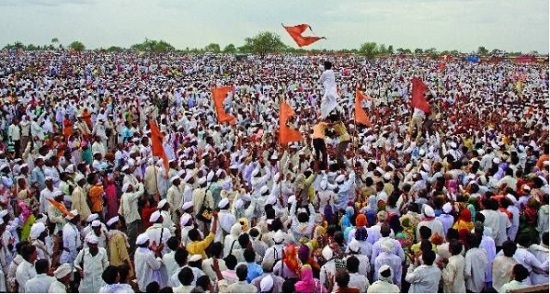 If all the saints prefer to gather at the holy place Shri Kshetr Pandharpur, (the headquarter of Warkari Sampraday which is the destination for all warkaries, i.e. 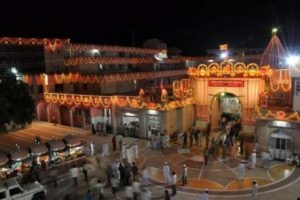 devotees participating in Dindi or Plkhi, who ultimately aim to meet their beloved deities Viththal – Rukhumai), Shegaon is a perfect rendezvous for all devotees. The saints are truly noble in thier nature. 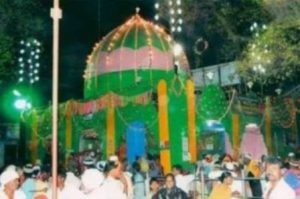 They never discriminate with cast, colour, creed etc. 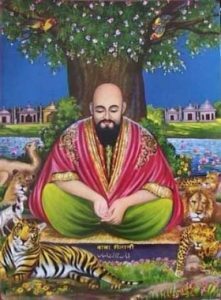 Rather Saints always show a true path to devotees for an ideal and meaningful life. A true philosopher or guide (A true Guru) is the only ideal person who transforms people from their vices to virtues. 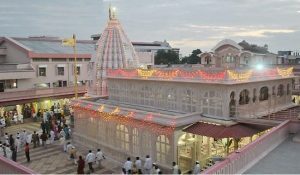 A Saint is a synonym of pious life and a true devotee is known for his sincere faith. 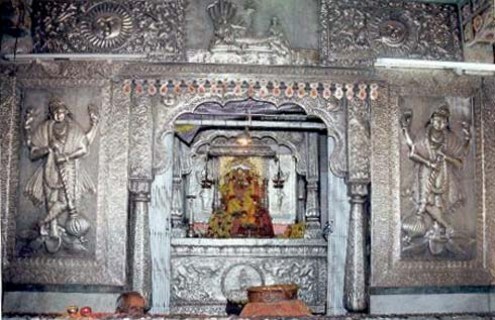 Once the devotees get the closer view of shree’s idol, they enter in Shri Ram Temple, built above the tunnel. 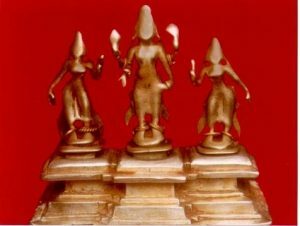 There is a great logic for such a sequence.The way to reach in the kingdom of god is shown by a saint or a Guru. 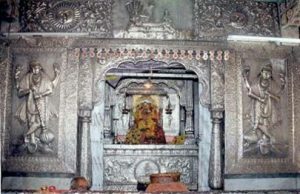 Hence, first the prayer spiritual in carnation of Shri Gajanan Maharaj followed by fascinating marble idols of Lord Shri Ram,Goddess Sita and Shri Laxman, on the pedestal of the beautiful Shri Ram Mandir above the Samadhi place, (Shri Gajanan Maharaj preferred to lay his living spiritual body for eternal meditation – called Samadhi). Some part of the entrance of Shri Ram Mandir has been adorned with golden leaves and some part in Gabhara(a reserved holy place, where lord’s idol is kept) is also dignified with the gold and its luster, In this Gabhara, the holy footwear (Paduka) which were regularly used by lord Gajanana and the silver masks are kept and they are used during the temple festivals (Palkhi Sohala) for darshan. 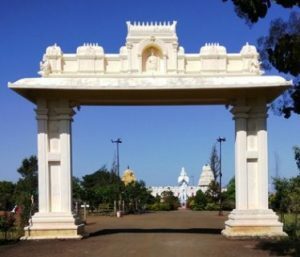 Venkatagiri is a magnificent temple of Balaji in the picturesque area of Rajurghata in Buldhana. 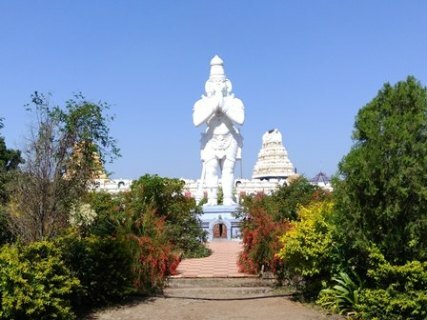 The replica of Balaji in Tirumala is made here and there are hills in the area. 21-foot tall idol of Hanumanji in the area of Venkatagiri Balaji Temple in Rajourghat area. The temple of Lord sharangdhar Balaji is more than 120 years old. 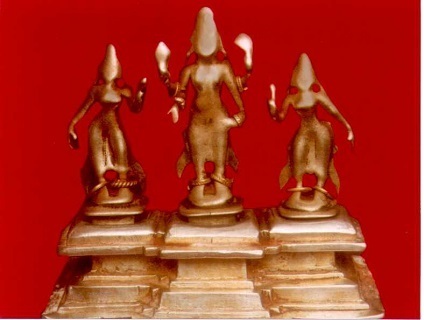 The documents written on copper found with Balaji’s sculpture are now in the British Museum, England. 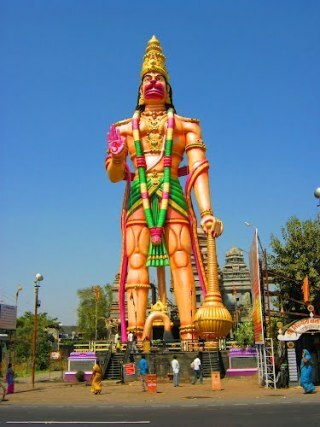 it is the largest sculpture of Lord Balaji in Asia. 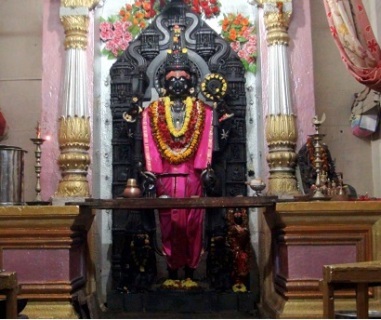 This idol is made in a single black stone. There is yearly celebration happens for Lord Balaji. 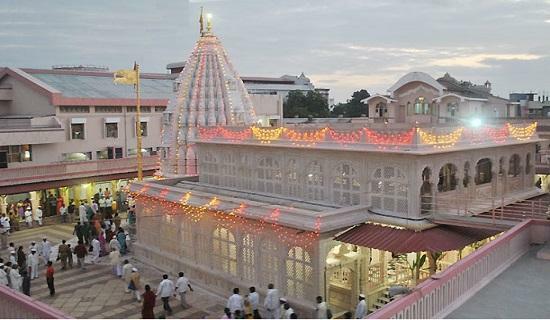 Deulgaon is a Town in Buldhana district in the state of Maharashtra, India. 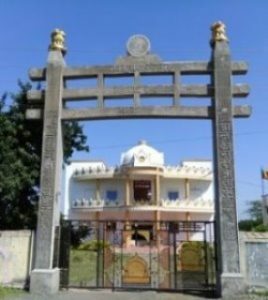 Deulgaon has an old Balaji Temple which is also popularly known as “Tirupati” of Maharashtra.This temple is founded by Raje Jagdeorao Jadhav in 1665. 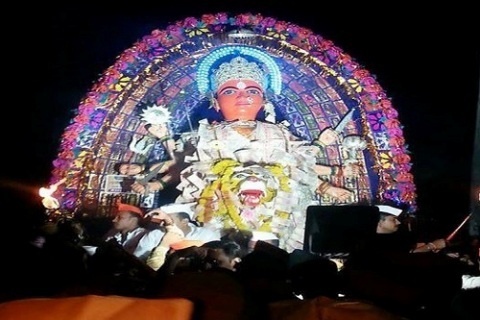 Every year there is a local festival called ‘Shri Balaji Maharaj Yatra’ in the month of October.’Latha Mandapotsav’ is major attraction of the Yatra. 42 nos. 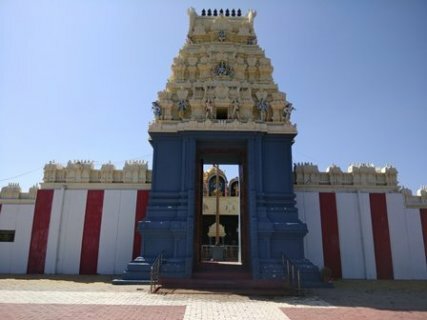 of ‘Mandaps’are erected in front of Lord Balaji’s Temple with the help of 21 wooden pillars called ‘Lata’. 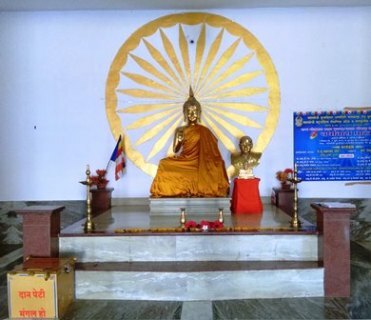 These wooden pillars are made from Teak wood.Height of each pillar is 30 feet and diameter is 1.0 foot. 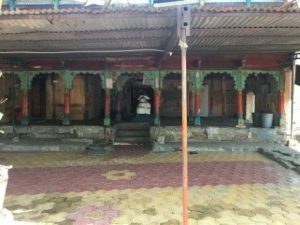 This divine area is the Origin of the river Panganga at Budhneshwar. According to the legend, the importance of Panganga is that it has once been famous as ‘Kundika Tirtha’ since Lord Brahmadev’s bowl filled with Ganges at Sahyadri Mountain. 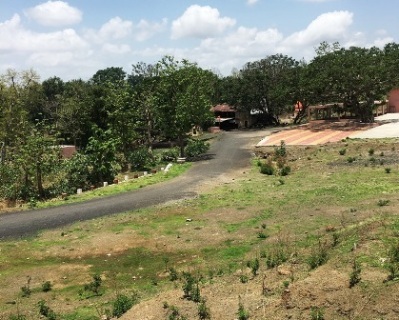 Here is a rock house. 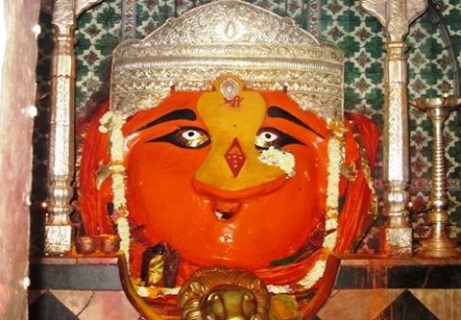 One of the tallest lord hanuman idol around 105 feet is situated at nandura Tehsil in buldhana. This main tourist attraction in the town is built with white marble but used different colors at right places . 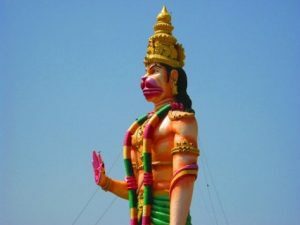 Lord hanuman is holding gadha on left hand and the right hand is providing blessings to viewers.